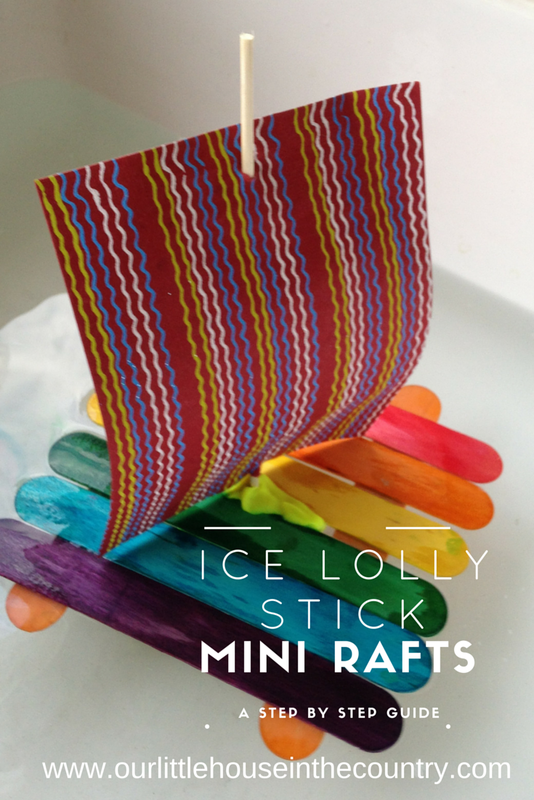 These ice lolly sticks and wine cork rafts are so much fun and simple to make! Place two lolly sticks slightly apart. Place more lolly sticks across these two, press down to make sure they stick. Leave a little gap between the two middle sticks. 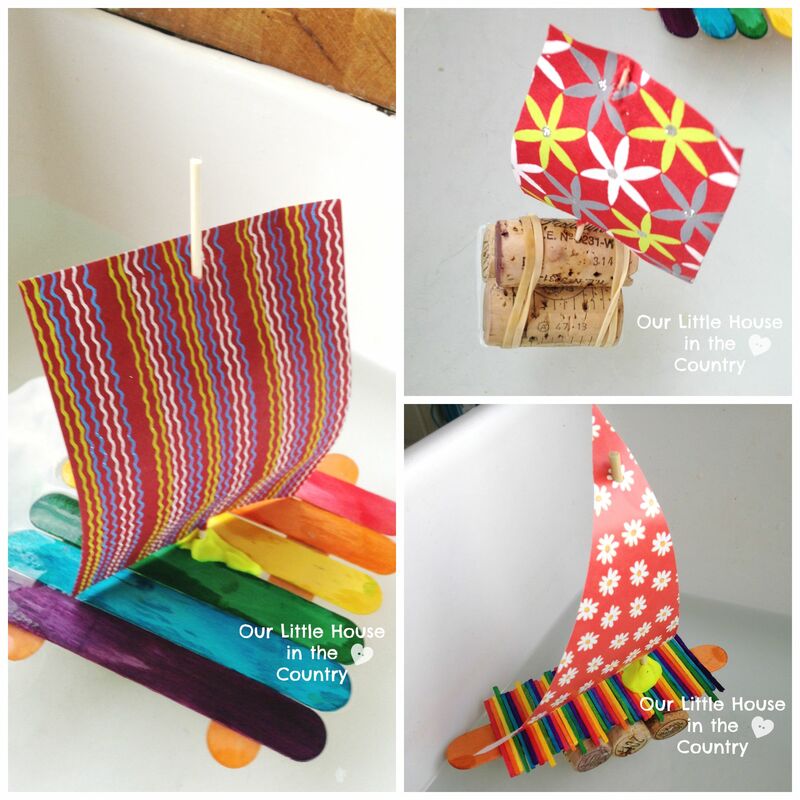 Cut out a sail from scraps of coloured paper. Pass a cocktail stick or skewer through the top and bottom of the sail. Pass the skewer through the small gap created earlier and stick the pointy end into a single wine cork. Secure the wine cork on the underside of the raft using blue tack or playdough. Let us know how you get on! Share your pics with us on our Facebook page or by tagging us on your Instagram pics! Love it, simple and fun! I’ll remember that one when we have the time for it!